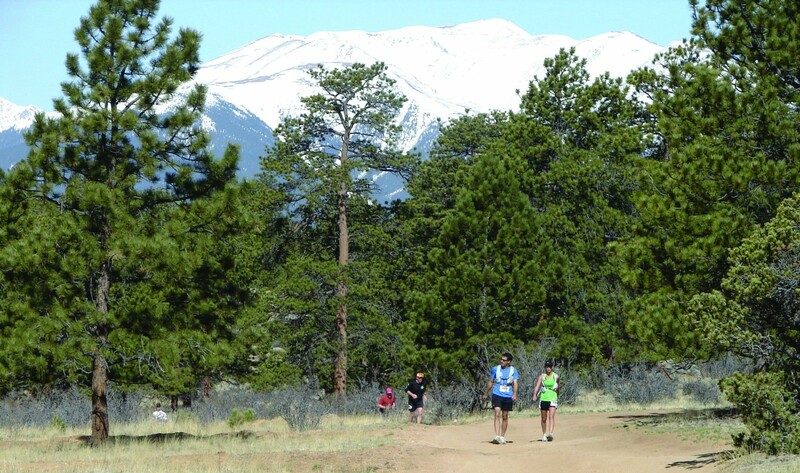 Beginning and ending near the Arkansas River in Buena Vista, the course primarily follows single-track and Jeep trails along part of the old, historic Midland Railroad as well as through other scenic areas north and east of town. Encompassing great scenery and spectacular views, much of the course runs through lands managed by the National Forest Service and/or Bureau of Land Management. Due to trail changes and/or closures instituted by those agencies, participants in 2004 were the first to enjoy a slightly different course from the one run for the previous number of years. Truly ?new and improved?, the current course retains most of the previous course along with great new added segments! 25-miler?s do the loop once (clockwise) and the 50-miler?s do it twice (the second time around, counterclockwise). Very much an up-and-down course, over 3,500 feet in elevation gain / drop is delivered in each loop!